This weekend, the Wild West of beer sets up shop in Oshkosh. 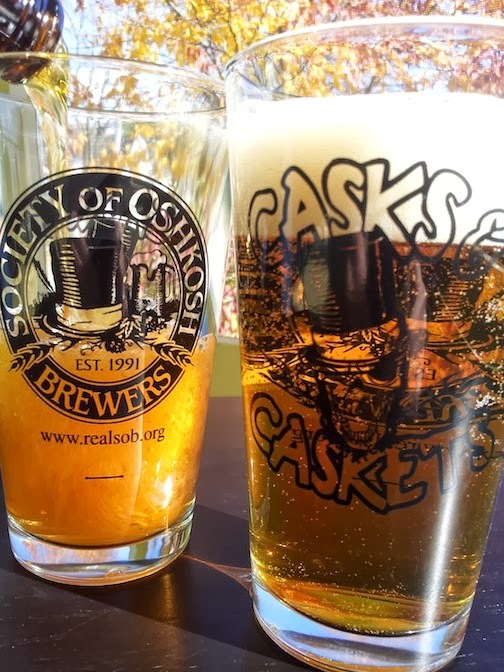 The Society of Oshkosh Brewers Cask & Caskets festival is Saturday night. 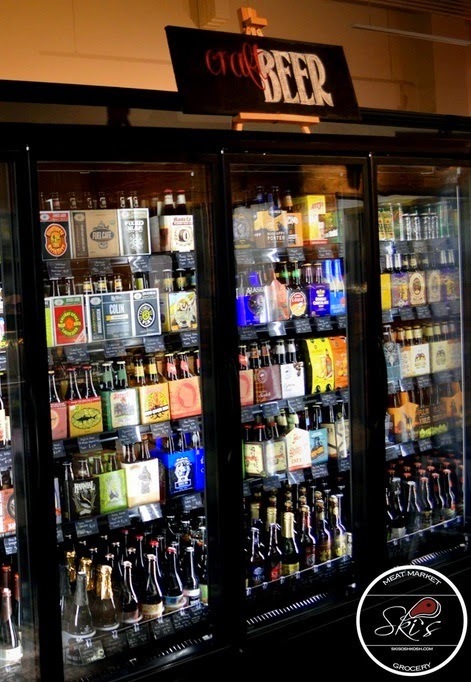 If you’re going, you’ll encounter a beer selection like you’ve never seen before. It’s not like going to one of those places that sports an outrageous number of taps. At those places, there’s a ring of familiarity to most everything you’re offered. At Casks, an outrageous number of taps will be offered, but you won’t know a damned thing about any of the beers until you let them pass through your lips. Don’t let that worry you. It’s easy to master this funhouse of beer. Here’s how. Let’s say you walk up to one of the serving tables and encounter a beer with a name like Electric Lollipop. What the hell is that? Just ask the brewer. That'll be the person pouring you the beer. And they will be more than happy to tell you all about it (in excruciating detail). You’ll find many of these homebrewers to be loquacious to a fault. And if they won’t shut up, tell them to cork the chatter and pour the beer. They won’t mind. I know this crowd. Believe me, you won’t be the first person to have told them to pipe down. You ask one of the brewers about their beer and he or she tells you it has bananas in it. Just because you’ve never tasted a beer with bananas in it is no good reason not to try one now. You may never have this opportunity again. It may turn out to be the best beer you’ve ever tasted. You’ll be surprised by what some of these folks are able to do with offbeat ingredients. A lot of these brewers tossed their beer-style books out the window years ago. What they shoot for are flavors that are unique and delicious. They’re a creative bunch. Go with the flow and indulge in a world of beer you’ve never encountered before. One of the brewers pours you a beer and it’s just not your thing. No big deal, it happens. Pour it out and move on to the next adventure. Nobody will take offense. Remember, these are folks who refer to themselves as SOBs. Some of the more perverse among them might see you heading for the dump bucket and consider it a compliment. Go figure. The beers at Casks tend to be a bit stronger than your standard commercial beers. Homebrewers like to push the limits and ABV is one of those things they pay little heed to. It’s just something to keep in mind. Sunday morning is going to come. You don’t want it to hurt, too much. That’s the most important thing. This is a rare event we’ll partake in. At some point in the evening step back and take it all in. Consider how lucky we are, all of us there together, enjoying this special thing that few of our type will ever experience. It’s going to be a great night. 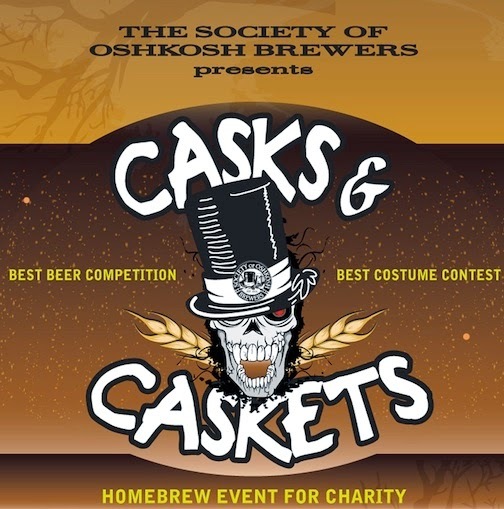 Casks & Caskets, the Society of Oshkosh Brewers annual homebrew event for charity, takes place this weekend, Saturday, November 1, at the Oshkosh Convention Center from 7-10 p.m. Tickets are $30 in advance and $40 at the door... and you really should go. I’ll put all the pertinent links down below concerning ticket outlets and such, but first let’s get into the why of why you’ll want to be there Saturday night. Truth is, most of the beer we get around here has been sitting on a shelf – either in a grocery store or in a distributor’s warehouse – for a good long while before we uncap it. That’s not good. Time is not the friend of most beers. But the beers you’ll be served at Casks will be ridiculously fresh. In almost every case, these are beers that have been brewed within the last 30-50 days. They’ve been given enough time to ferment and rest. When they’re poured on Saturday, they’ll be at their peak. You’ll see what a difference fresh beer makes. Not that the brew you buy at the beer depot isn’t real, but let’s not fool ourselves; it’s a commercial product and commercial brewers are often required to make compromises to meet the expectations of the market. Filtration and pasteurization are just two of those compromises. These processes extend shelf life, but they also mute flavor. You won’t get stripped down beers at Casks. You’ll get the real thing, with all of its intended flavors intact. At most beer festivals the beer is poured by some poor schlub who has little knowledge of what they’re dumping into your glass. Not so at Casks. You’ll get to meet all of the brewers and find out first hand what they’re about. To me, this is one of the best things about this festival. You get the full, immediate experience of a beer without all of the mitigating middlemen who stand between you and its source. That’s a rare thing. It’s wine, mead and cider, too. And not just a couple bottles of each to placate the non-beer drinkers. There’ll be a wide selection of each with an array of flavors you’ll find nowhere else. • It's for a good cause. All of the beverages are donated by the homebrewers who made them. They receive nothing (but a good time) in exchange for their work. 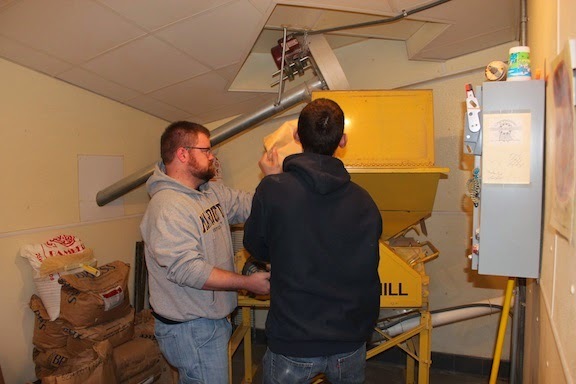 This means that all of the money taken in goes directly to the Oshkosh Hunger Task Force. • Sly Joe & the Smooth Operators will play. • There’ll be a silent auction with everything from beer memorabilia to hand-made soap up for grabs, with proceeds benefitting the Oshkosh Hunger Task Force. • It’s the best beer festival in the area. Seriously, there no other beer fest like this one. All right, here are those links. • The Casks & Caskets webpage. • The Casks & Caskets Facebook Event Page. On April 5, 1991, a short notice aimed at homebrewers appeared in the Oshkosh Northwestern. An organizational meeting of a new club for homebrewers of beer in Oshkosh will be held at 7 p.m. Thursday April 11, at Galaxy Science & Hobby Center, Lake Aire Center, 2211 Oregon St. The meeting is open to beer lovers and homebrewers at all levels, as well as to the merely curious. The club will act as a resource of homebrewing information for area brewers and will provide a forum for exchanging recipes and ideas between members. 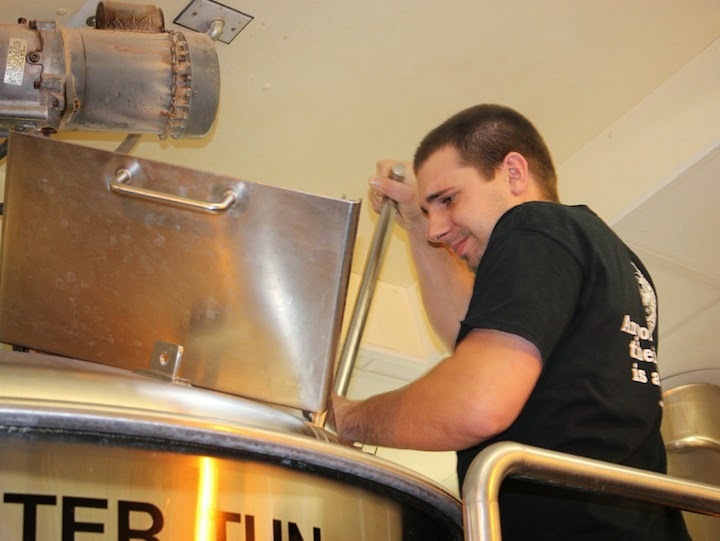 The club also plans to tour microbreweries and enter homebrewing competitions. It was a good time to start a club dedicated to homebrewing. Interest in the hobby had risen slowly and steadily since its legalization in 1978. Some saw it as a backlash. In Oshkosh, the idea was gaining ground that beer could mean something more than the pale, industrial lagers that dominated the market. Oblio’s Lounge had begun putting a rotating selection of microbrews on tap and a new microbrew with a familiar name, Chief Oshkosh Red Lager, was beginning to appear on store shelves. Still, the new beers were often hard to come by in Oshkosh. The club that formed in Oshkosh on April 11, 1991 was part of a rising tide of beer drinkers who weren’t going to wait for the market to catch up with them. If they couldn’t buy the sort of beers they wanted, they’d brew their own. 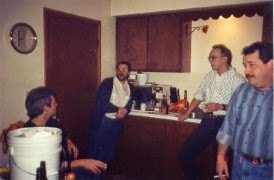 By 1991, a network of beer brewing clubs had already formed in America. Many of the clubs gave themselves amusing names that relied upon puns or double entendres. 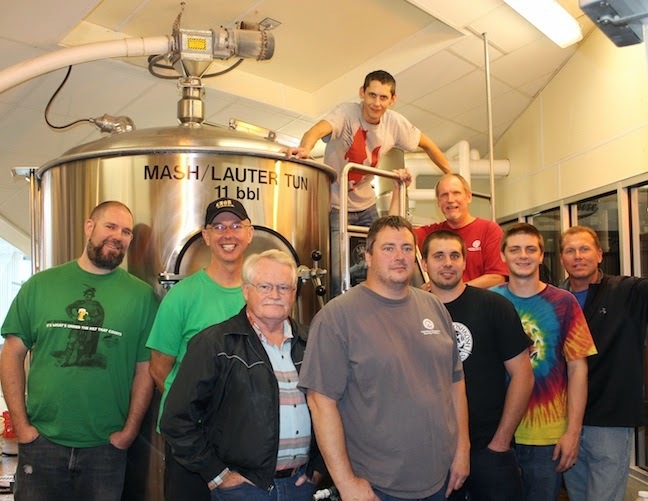 The homebrewers in Oshkosh took a moniker that at first glance appeared self-important. 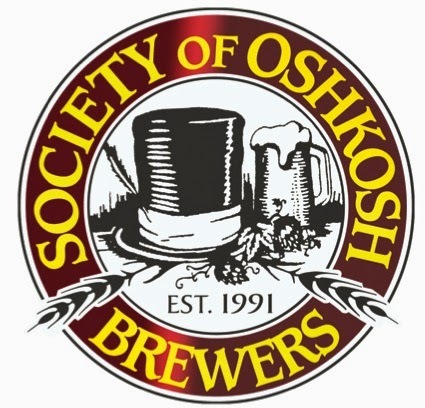 Officially, they were the Society of Oshkosh Brewers. But they rarely used the full name. Instead, they called themselves the SOBs. The name was pitch perfect for the group that would come together under the epithet. The SOBs’ original “Funtime Clubhouse,” as they called it, was an empty storefront next door to Galaxy Science & Hobby Center. It was a natural spot for them to gather. Galaxy Science & Hobby sold homebrewing supplies among its other wares, making it the hub of homebrewing activity in Oshkosh. But the space at Galaxy Science & Hobby was not always available, forcing the club to hold meetings in bars that were less than hospitable. The challenge of finding an appropriate meeting spot for a growing group that arrived with its own beer in tow became an early problem and one that would trouble the club for the next 15 years. The issue of where to meet would appear again and again and so would the jabs at “factory-made beer.” The early SOB Brewsletters were a grab bag of beer news and event listings, bad jokes, brewing information, and scouring criticism of bad beer. It helped that the club had several good writers, including two professional journalists who often wrote about beer, Jim Lundstrom and Todd Haefer. Lundstom was especially noticeable in the early issues penning a semi-regular “Adventures in Beer” column about the beer-soaked misadventures of the SOBs. Monthly meetings were now most often held at J.J. Fiddler’s, a tavern on the corner of 16th and Oregon streets. Other times, meetings took place at the Lizard Lounge on High Ave. and sometimes in the homes of club members. The changing settings were accompanied by a change in the SOB roster. By the mid-1990s, a number of the club’s founding members had drifted away. They were being replaced by a new core. Steve Rehfeldt moved to Oshkosh from Colorado in 1995 with the intention of opening a microbrewery and was drawn into the SOB fold. “The home brewers in Oshkosh were innovative and knowledgeable, and produced great beers,” Rehfeldt says. 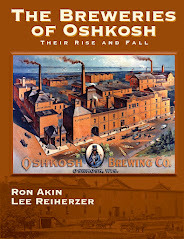 And the beer they were making retained the influence of the Oshkosh brewers who preceded them. “The Oshkosh folks brewed a lot of lagers and malty, dark ales,” Rehfeldt says. Rehfeldt was joined at the core of the club by others who had a desire to grow the membership and see the club become more structured. Mike Engel joined the SOBs in 1995 and became the club’s treasurer. 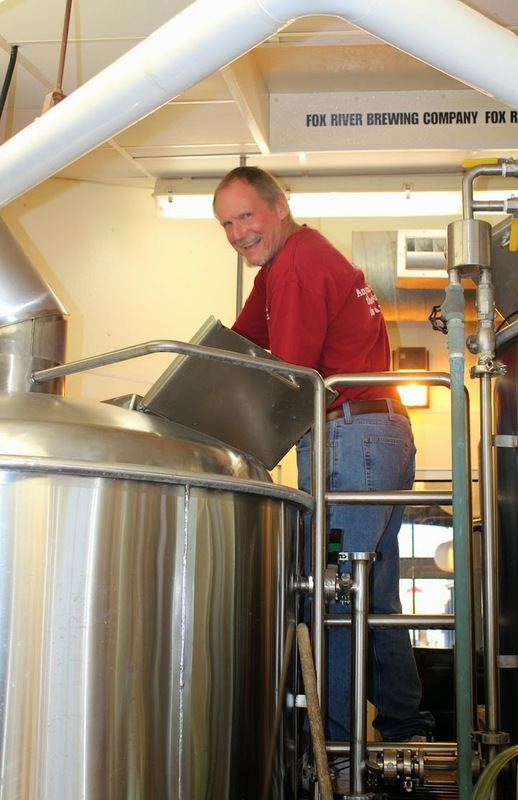 Richard Stueven, a trained brewer became a member and began writing technical articles for The Brewsletter. Randy Bauer became an SOB in 1998 and took over editorship of the Brewsletter, giving it a more professional appearance than it had before. The club grew, but the dilemma over meeting space persisted. A rotating list of venues, which included Fratellos, a camera studio and a series of different bars created difficulties and hampered progress. By 2004, the club had its own website and more than 20 members, but issues were beginning to arise. Attendance at meetings was often low. Rehfeldt was frustrated in his attempts to get the membership to take a more active role in the club’s direction. He wanted the club to be focused on brewing beer and not merely a place where members casually gathered to drink beer. “We do not want a purely social club,” he wrote in The Brewsletter of January 2004. Engel’s plea fell on deaf ears. Much of the load would continue to be carried by he and Bauer, with additional support given by Bryce Hinsch and Mark Stanek, both of whom had joined the club in 2000. By the end of 2004, the situation appeared dire. Membership had fallen off. Meetings often comprised fewer than 10 people. Engel and Bauer considered the possibility of folding the club. They put the idea aside and in January 2005, Engel appeared determined to make things work. “There remains in the club a small but strong nucleus of members who are not fazed by the transgressions of 2004,” he wrote in the January 2005 Brewsletter. “A nucleus that will continue to uphold the traditions of home brewing and the enjoyment of good beer. 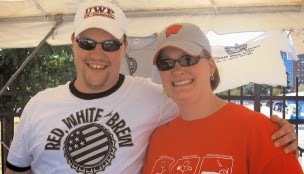 This, then, is the backbone of The Society of Oshkosh Brewers. It is here where we shall remain. Long live the Society of Oshkosh Brewers.” It was the right choice. By the end of the year, they came upon a solution that would lead the club to its most successful period. In 2004, O’Marro’s Public House opened in the Lake Aire Centre, just a few doors down from the original home of the SOBs. The Irish pub, served good beer and had a large banquet room that was usually open on weekday nights. It was exactly what the club needed at exactly the right time. The first meeting of the SOBs at O’Marro’s Public House took place on November 16, 2005. It would immediately become the club’s new home. The pub’s owner, Shawn O’Marro, had a rowdy sense of humor that fit well with the boisterous, beery ways of the SOBs. The club had finally found a home. An infusion of new blood also helped. Larry Carlin joined in 2005 becoming club treasurer and secretary. Carlin’s joke-laden minutes in The Brewsletter perfectly captured the revived spirit of the time. In 2006, Andy and Sandy McClaine became SOBs. Often referred to as Team McClaine, the couple had the drive and organizational skills needed to deal with what would become an explosive period of growth. After settling into O’Marro’s, SOB membership began to tick steadily upwards. The club’s presence in the community had increased thanks to regular appearances at area beer festivals and public brew sessions held in the O’Marro’s parking lot. Sensing that the club needed to create a formalized board with specific duties, the SOBs adopted a set of bylaws at the close of 2006 and held elections. Mike Engel was voted in as president with Bryce Hinsch, Team McClaine, Larry Carlin and Randy Bauer rounding out the SOB board. The new energy, called for the creation of something special. 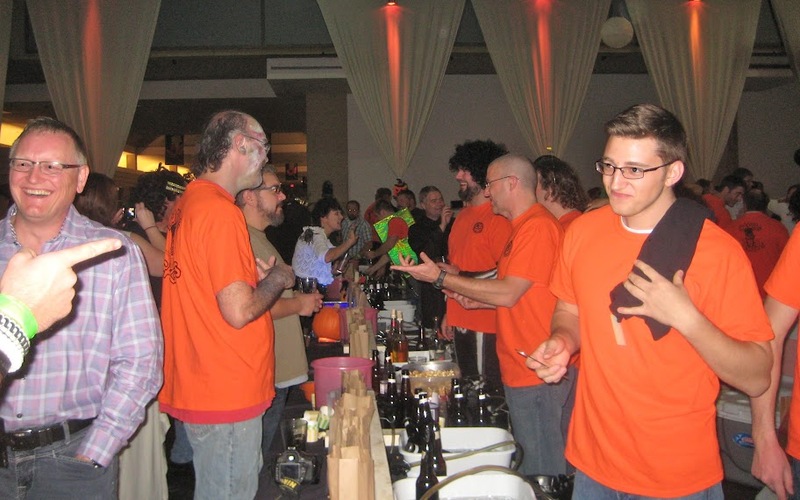 In late 2008, the club began planning for a beer festival comprised entirely of homebrewed beer. There had never been such a festival in Wisconsin. The SOBs were plowing new ground. Unfortunately they had also gone astray of the law. 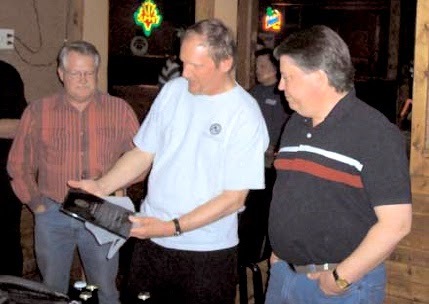 The event was slated for June 27, 2009 and was to be held at O’Marro’s Public House. But just two weeks before the event, the Department of Wisconsin Alcohol & Tobacco Enforcement interceded, informing the club that if the event went ahead as scheduled, the beer and equipment used for serving it would be confiscated. After spending the next three years fighting to help change laws regulating homebrew, the SOBs succeed. 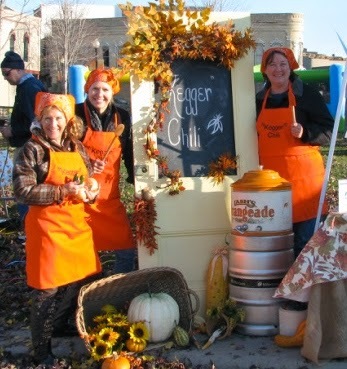 In November 2012, the SOBs went ahead with Casks & Caskets, Wisconsin’s first all-homebrew beer event. In the wake of that success, Engel and the others announced that they were stepping down from the SOB board. But the chaos that ensued following the 2004 shake-up was not revisited. With an election process in place, the SOBs voted in a new board of directors and the club’s growth continued unabated. Today there are more than 80 members of the Society of Oshkosh Brewers, making it among the largest homebrewing clubs in the Midwest. Though the SOBs have come a long way from the “half-dozen homebrew enthusiasts sitting around in a big circle” the club’s original premise remains the same: good friends coming together to enjoy good beer and having a good time. If you’re weekend plans include the Oshkosh Chili Cook-Off tomorrow, be sure to stop by the Society of Oshkosh Brewers' tent to grab a couple of free samples of homebrewed beer. SOBs Jody Cleveland and myself will be there pouring two of our latest creations. The beer I brewed is based upon a type of porter known as running porter that had its heyday in 1840s England. These were dark, fairly strong and somewhat bitter beers that, unlike most porters of the era, were served without being aged. These beers also tended to be brewed with less-than-fresh hops. For my brew, I used hops grown in Oshkosh last year. And like those old beers, this one is young. When it’s served on Saturday, it’ll be just a month after brew day. The beer is a whisper under 7% ABV with 30 calculated IBUs (though that’s really just guesswork when you take the age of the hops into consideration). Is it any good? You tell me. Come down to the Downtown Chili Cook-Off and find out for yourself. The Oshkosh beer scene got a boost yesterday with the opening of Ski’s Meat Market at 502 N. Main. The new downtown butcher shop/grocery includes a somewhat small, but well chosen assortment of craft and imported beer. The emphasis is on specialty beers and seasonals. You see a lot of 4-packs and a good number of bombers. Wisconsin brewed beers make up roughly a fourth of the stock. Overall, the selection at Ski’s bridges the gap between the steady, but commonplace craft offerings you find at Festival Foods and the more adventurous options available at Gardina’s. And the prices are reasonable enough. On items where they overlap with Festival, Ski’s tends to be higher by about 50 cents on average. Worth it when you consider that almost all of Ski's beer is stocked in coolers; they have three of them dedicated to beer and cider. If you head over to Ski’s, visit their website first. At the moment, they’re giving away a $5 coupon redeemable for anything in the store. You’ll need to set up a an Instagift account to claim the coupon, but that takes less than a minute. This is an aggressive beer. It pours cloudy and bronze with an off-white head that tacks to everything it touches. The beer gives off a plume of pine and grapefruit aroma with undertones of onion and maybe even some tar. It’s a little weird, but in a good way. There’s a hefty caramel/brown-sugar malt note at the first draw that gives way to a surge of pine and bitter-citrus hop flavor. From that point forward the bitterness just comes slashing at you. The finish... well, I don’t know if this beer has a finish. The bitterness keeps working away. I wouldn’t want to drink two of these in a row, but it’s a great end of the night beer. And at 9% ABV, it might bring the night to a quick end. Here’s another part of this beer: O’so stuffs a hop cone into each bottle. Gimmick? I don’t see it that way. It reminds me of the preparation of early, 18th century English pale ales (the beer that would become IPA). In those days, they’d add a fresh charge of hops to the cask before shipping the beer to foreign lands. Hops, being a natural preservative, would help the beer survive. The dosing would also create an additional layer of flavor. The O’so website says they age this beer on oak. You don’t taste that, at least I don’t, but it’s another aspect of the beer that harkens back to the earlier methods of pale ale brewing. I have no idea whether or not the folks at O’so are aware of these connections, but I certainly enjoy them. And it makes my drinking experience more thrilling. Yes, I am a geek. One last thing: the hops in this year’s Lupulin Maximus hail from the Nami Moon Farms in Custer, Wis. Our friend Chris Holman is the grower there. There’s more on that HERE. It all comes full circle. There’s no other way for it to go. Quick note about some beery weekend fun. Saturday, Dublin’s Irish Pub in Oshkosh celebrates five years of doing it right. 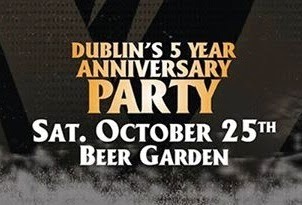 Their fifth anniversary party will kick off just a bit before 4 p.m. with the opening of their party tent just outside the pub. They’ll have craft and domestic beer flowing along with live music beginning shortly after the tent opens. Baby and the Boomers will open the show with Three Way Street starting at 7 p.m.
Also, they’ll have raffles going on all night with the chance to win half-barrel parties and Guinness for a year. One more thing: if your in the tent, give your generosity a little exercise by tipping well. All tips over the bar in the tent will go to the Oshkosh Fire Department Charitable Trust. Chapter 13 of Gardina’s Beer Bar Series is on tap tonight (Tuesday, October 21). This time they’ll crack into a firkin of Central Waters Honey Blond Ale that’s been spiced with lavender in the cask. 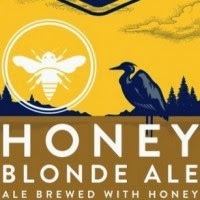 The floral notes from the lavender ought to go well with the honey used in the beer. Just one way to find out: get yourself down to Gardina’s and have a few splashes. The firkin will be tapped at 6 p.m.
I’ve been chipping away at the Oshkosh Beer Timeline for over three years now. The idea is to have an online space dedicated to the history of beer and brewing in Oshkosh. I’ve just completed a large number of updates to the site, making it far more comprehensive. There are still some gaps in the history presented there, but I’ll be addressing those before long. 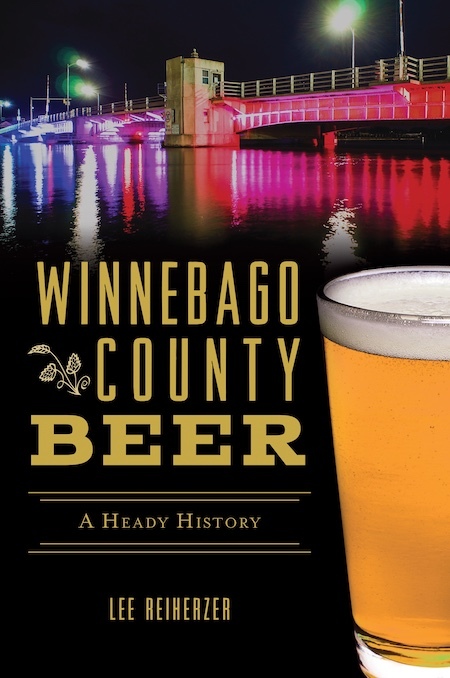 The timeline presents a simple, fairly streamlined overview of beer in Oshkosh from 1849 to the present. Most entires have links to pages that explore topics in-depth. Currently, there are more than 70 linked articles. Also included are a couple of guided tours accessible as downloadable PDF files. You’ll find those in the upper right sidebar. One is for touring Oshkosh’s brewing sites. The other is a beer-based walking tour of Riverside Cemetery. 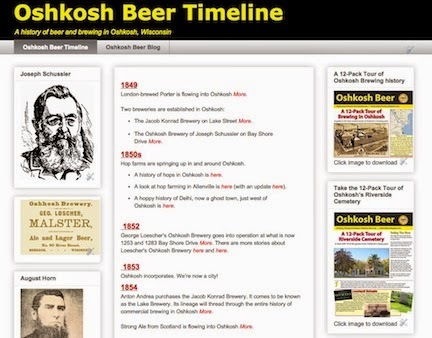 The Oshkosh Beer Timeline is still a work in progress, but it’s also the most complete online source for beer history related to Oshkosh. There's plenty there, but if you crave more you can always check out The Breweries of Oshkosh. Here’s Fox River’s entry into the Oktoberfest stream. I need to have a couple more, but this might be my favorite American Oktoberfest for this year. I’ve drank a lot of them over the last two months and have come across too many that are overtly sweet. While the malty character of this style might suggest sweetness, the beer ought to end up being relatively crisp and dry. This one gets it right. It’s a bronze beer that sends a waft of Munich-malt aroma out of the glass. I get a lot of clean malt flavor from this. I kept thinking bread crust and caramel with a dash of pepper from the hops. The finish has a snappy bitterness that’s a good counterweight to the malt flavor. Schwarzbier literally means black beer. Back in the day, they used to call this style Kulmbacher. It was once a popular style in Oshkosh with the local brewers producing it year round. Fox River’s take on the style is somewhat of a throwback to those earlier beers. Most schwarzbiers you find these days are somewhat whispy. They’re often like a pils with a neutral coloring malt to blacken the beer. This one is more substantial. It’s definitely a black beer with foam that’s sticky and tan. There’s a hit of roast in the aroma that follows through in the flavor. There’s a fat note of licorice here. I enjoy that. It’s a full-bodied beer. Very pleasing in the mouth. I was shocked when I learned that it’s just 4.1% ABV. It seems much more substantial. It’s a beer to drink by the growler! I really like this one. Something else you might want to know: Fratellos has Ale Asylum’s KINK on as their guest beer right now. I haven’t had it, but I’ve heard good things. It’s a 7.4% Blegian-style Abbey ale. According to Ale Asylum it’s, “Creamy and smooth with a thrust of spice in the aroma and a climatic finish.” Sounds dramatic. Here’s the full board showing what’s pouring at Fratello’s as of yesterday. Click the pic for easier reading. Prost! Last Saturday, the Society of Oshkosh Brewers and the Fox River Brewing Company got together for a group brew at Fratellos in Oshkosh. Working with Fox River brewmaster Kevin Bowen, the SOBs helped make a 375-gallon batch of Buffalo Mike’s Pumpernickel Rye. This is a beer that Mike Engel of the SOBs has been brewing and serving at festivals around here for years. And this is the second time, Mike has had his beer made on a commercial scale. He describes the brew as tasting almost like liquid rye bread. That’s about right, I’d say. I’ve had Mike’s homebrewed version a few times. I’m looking forward to seeing how the FRBC brew compares. It’s not so easy ramping these small batch brews up to this size. Look for Buffalo Mike’s Pumpernickel Rye to begin flowing from the draught lines at Fratellos in Oshkosh sometime around mid-November. I’ll send a shout out here when it hits. Personally, I’m glad this happened. There was a period after the brewery opened in 1995 and extending into the 2000s when the SOBs and Fox River Brewing had a fairly tight bond. That gradually eroded as circumstances changed for both the club and the brewery. It’s time for that relationship to be rebuilt. 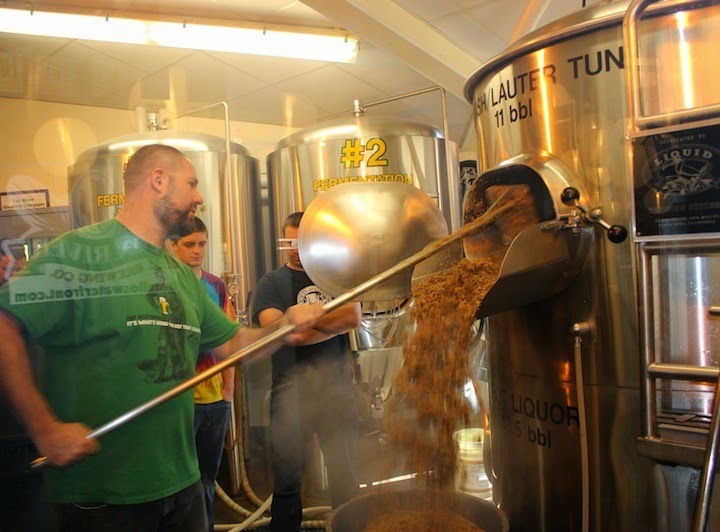 The SOBs are a large and influential homebrewing club and Kevin Bowen at Fox River is a two-time World Beer Cup Medal winner. It’s great to have them come together. 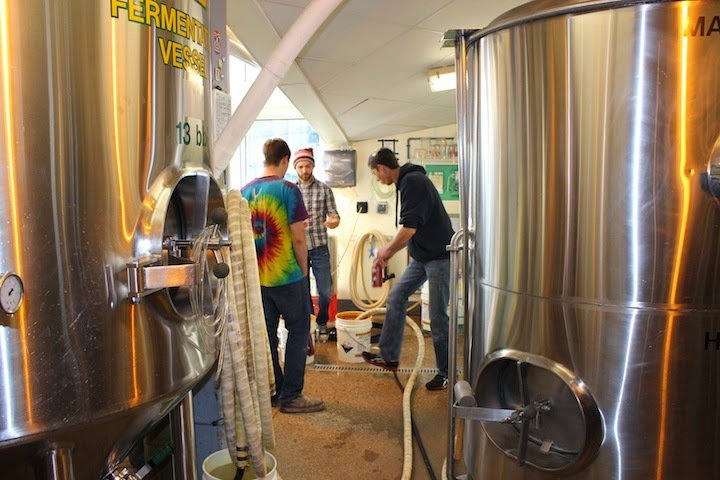 Here’s a few shots from the brew day, courtesy of Mike Engel. As always, click to enlarge. Until yesterday, this blog sat idle for three weeks. There’s a good reason for that. I was in Germany. You can probably guess what I was doing there. Drinking beer, of course. Lots and lots of beer. It was wonderful! We toured the eastern half of Germany starting in Southern Bavaria, into the Czech Republic and ending in Berlin. So, I doubt my impressions would be valid for the country as a whole. That said, the first thing I noticed is how deeply engrained beer drinking is there. You encounter beer almost everywhere and at every time of day. There seems to be little of the weird anxiety that hounds public beer consumption in America. At every restaurant or cafe, we’d notice a good number, if not most, of the people around us also enjoying a glass of beer with their meals. A couple days after returning to Oshkosh, we had lunch at Becket’s. There was neither beer nor wine on any of the other tables. It was one of those moments where your happiness on returning home turns to dust. What you don’t see in Germany is the incredible variety of beer you find here. That’s not saying that the beer is all the same there. It isn’t. It’s just that the choices are within a narrower spectrum. What dominates, unsurprisingly, are traditional German styles of beer. Weizens and dunkelweizen, pilsners and helles, bocks, märzen, dunkels and schwarzbiers, alts and Kölsch... there’s plenty of variety overall and a world of variation within each style. But you don’t find the incredible range of beer styles that are easy to come by in Oshkosh. You also don’t see many places with a dozen different beers on tap. Typically, just a handful of beers are offered. 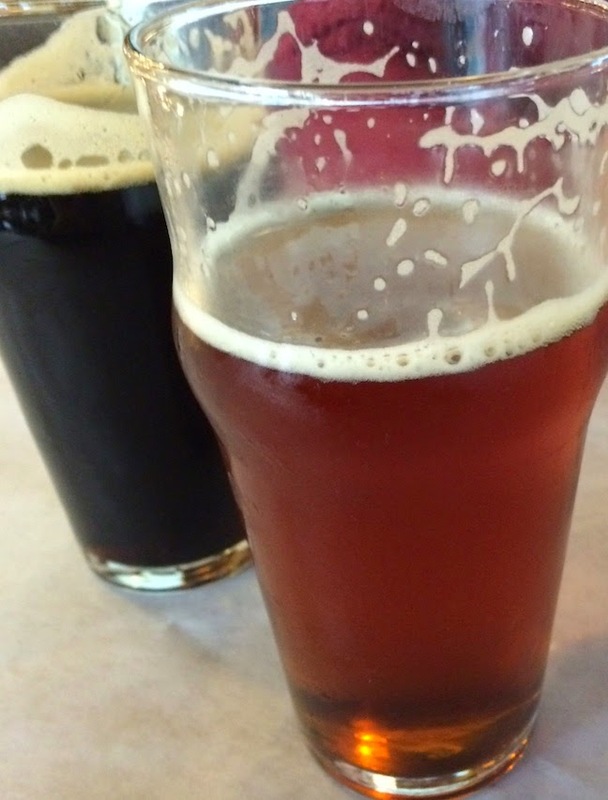 Often we found just two or three being served, a pale and a dark lager along with a wheat beer. Does that sound boring? It wasn’t to me. More often than not, the beers we had were so beautifully flavored that the limited choice meant nothing. 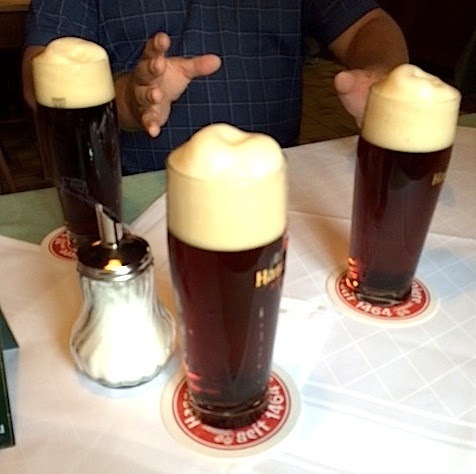 Maybe the best beer I had was a kellerbier, a simple unfiltered lager we drank in Kulmbach. It was rich with a bitter/sweet balance and absolutely delicious. I could live on that beer. But if I were a dedicated IPA drinker I might not have been so easily satisfied. Good luck finding IPA in Germany. Or a bourbon-barrel aged stout. Or a pumpkin imperial porter. Or a 15% ABV barleywine. I wasn’t gone all that long, but I can’t say I missed any of those. Coming back to Oshkosh and meandering again through the beer scene here was an unreal experience. There’s just so much. And so much of it lacks context beyond the whims of “radical” brewers and marketing hacks. It’s occurred to me how difficult it must be for people who are just getting into this. Where do you start? After time away, the craft beer scene looks faddish to me. So many of the beers, especially the stuff you see in bombers, seems pretentious, overwrought, self-involved and complex for no good reason at all. I’m all for choice, but at the moment the gaudy, circus-like aspect of craft beer appeals to me not in the least. Is this what travel is supposed to do for you? I’m glad to be back home. But I have some adjusting to do. In June 1908, Oshkosh brewer Charles Rahr returned to his homeland after 52 years on American soil. When Rahr boarded the ship bound for Germany, he was 72-years-old. He had prepared for the journey by becoming a naturalized U.S. citizen four months prior to his departure. And just two months before leaving New York for Hamburg he had retired from brewing and turned the Rahr Brewing Company over to his son, Charlie. Yet on the ship’s manifest, Rahr still listed his occupation as brewer. Rahr, his wife Caroline and several Oshkosh friends would spend more than three months traveling though Germany. Their trip included a three-week excursion down the Rhine River that took Rahr back to Wesel, the city of his birth. But the world Rahr was returning too was quite unlike the one he had left behind. When Rahr left Wesel in 1856, the city was part of Prussia. It was an isolated fortress city racked by years of war. German unification in 1871 made Wesel part of the German Empire. It was followed by the city’s modernization and redevelopment. Charles Rahr had changed, too. He had fought and was wounded in the American Civil War. And after working at several other Wisconsin breweries, he had launched his own brewery in Oshkosh in 1865. 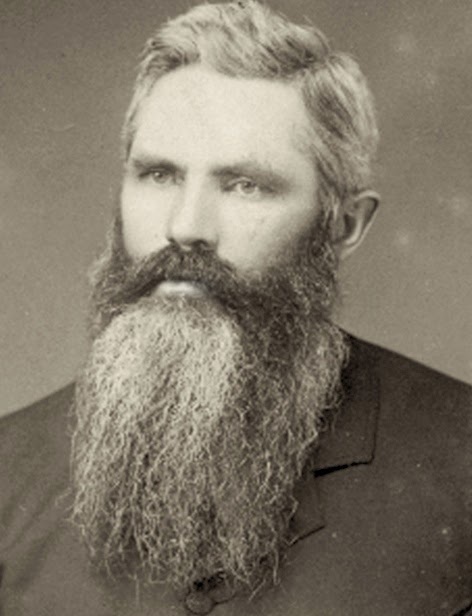 Rahr had come from a brewing family and had probably been involved in beer making in Wesel prior to his leaving for America. But the beer he would have found in Wesel upon his return would have been quite unlike the beer he remembered. When Rahr lived in Wesel, the region surrounding the Lower Rhine was dominated by small breweries producing dark ales. 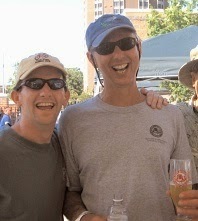 That was beginning to change as Rahr came of age. By the time Rahr returned to Wesel, he would have found most of the dark ales of his youth being supplanted by pale lager beer produced by large, industrial breweries. 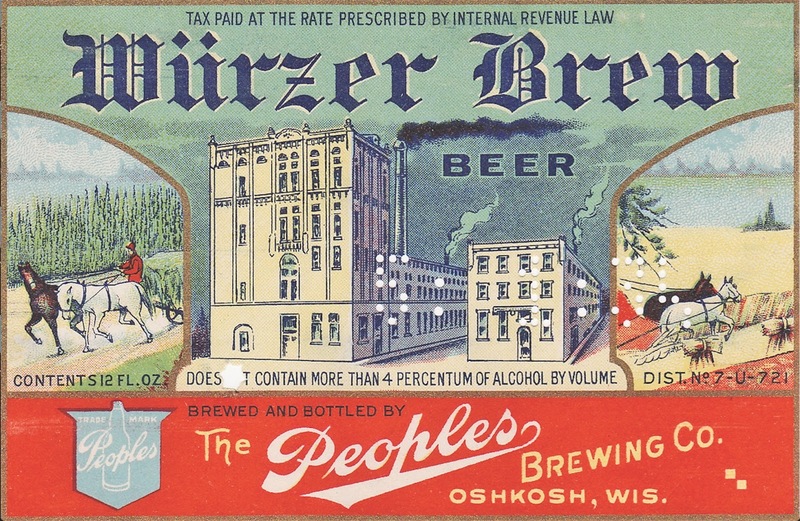 In fact, the beer Rahr returned to in Wesel may have more closely resembled the beer he was producing in Oshkosh than the beer he recalled from his younger days. I wonder if that disappointed him. Perhaps not. He may have felt validated by the popularity of the new beer in Wesel. Lager breweries had begun to take hold in the region around Wesel in the 1840s and the impact of that change seems to have influenced the Rahr family of brewers. Three members of the Rahr family left Wesel and launched breweries in Wisconsin during the 1800s. Each of their breweries made lager beer. Rahr must surely have noticed the irony. In the 52 years since his departure, Wesel had given itself over to the type of beer he had invested his life in brewing 4,000 miles from home.